Baltic Amber use date back thousands of years. The Eastern Europeans used it as a tincture before of modern antibiotics came along. It was employed to increase immunity and treat pain like teething, stomach upsets, to boost energy in the elderly, and to enhance men’s libido. Baltic amber is high in succinic acid. This substance is crucial to the Citric Acid Cycle, which generates energy in our cells. This acid is also vital to the cells of our immune system. It boosts the division rate of those cells and helps them eradicate pathogens. This is how amber imitates an antibiotic and helps increase vitality. What can amber help ease? Succinic acid is also a powerful anti-inflammatory agent and pain reliever. It prevents oxidative damage to cells in conditions like rheumatoid arthritis, osteoarthritis, general back pain and menstrual pain. But that’s not all. Amber necklaces and amber smoke were used in early times to ward off bad spirits. Seem implausible? Amber may actually reverse the effects of electromagnetic waves from electronics and from the sun. This 50-million –year-old precious gem has more than a few tricks up its sleeve. Categories: Anti-Inflammatory, by Dr. Karol, Children, Environment, Immunity, Lifestyle, Natural Products, Radical Remedies, Radical Remedies, by Dr. Karol | Tags: amber, ancient remedy, anti-inflammatory, children's health | Permalink. Today I am going to talk about a very interesting topic: inner Immunity. I am going to put a pediatric spin on this one. When I was a kid I had frequent infections. Then I started spending some time in a veterinary lab facility where one of my close relatives worked. Back then, access to such facilities was not as restricted as now. Once there, I would spend time watching pathogenic bacteria under the microscope. Shortly afterwards I stopped having infections. Was it just a coincidence? I am bringing this topic up because I think that some individuals are living with the misconception that raising children in a completely sterile environment is good for them because it keeps them away from bugs such as bacteria, viruses, and the freakiest kind, parasites. Well, this is actually only partially true. When the immune system is exposed to these pathogens it recognizes them as foreign entities and mounts an immune attack to fight the infection. Please be careful. This is not true for individuals who are immune compromised: for example, children with genetic mutations causing their immune system to be weak. But the stimulated attack is not the only thing that happens. The other interesting thing is that during this initial fight the immune system forms what are called memory B cells. 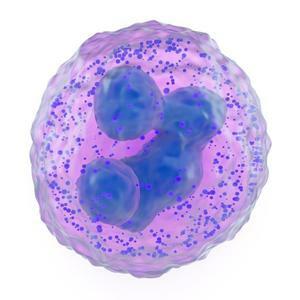 These cells actually “remember” the particular pathogen for many years, and when an individual is exposed again to that same pathogen at some future time, the immune response is much stronger and quicker than the first time….read more…. Categories: Children, Environment, Immunity | Tags: children's health, Dr. Karol, germs, immunity, pathogens, sand box, school | Permalink.